Here’s an interesting piece of 1990s nostalgia that I just dug out. Basically it’s an animated screensaver of the type that was popular at the time, together with some black-and-white stickers. But it’s marketed as a complete protection and “cleansing” system for your computer – the software equivalent of a tinfoil helmet. To the best of my recollection, I bought this at the 1996 Fortean Times Unconvention. Astonishing as it may seem, I didn’t even own a computer at that time – I used the screensaver (and some of the best stickers) on my desktop PC at work. It wasn’t even connected to the internet in those days, just a local area network. For people who may be too young to remember, the object in the top left of the picture is a 3.5-inch floppy disk, capable of storing approximately 0.0000014 terabytes of data. 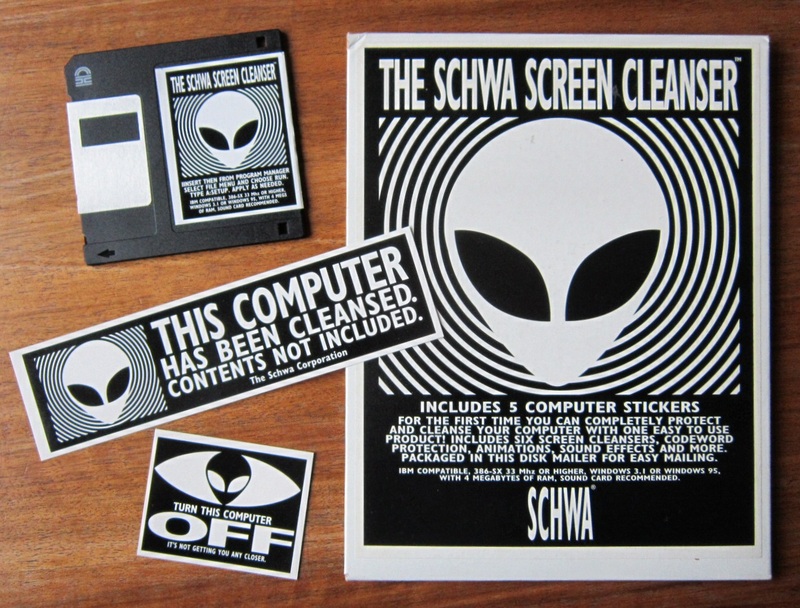 The product was made by the Schwa Corporation, who used to advertise regularly in the pages of Fortean Times. 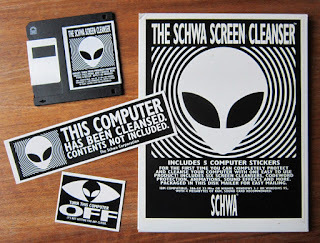 They were one of the first companies to offer a range of products—including T-shirts and baseball caps as well as this screensaver—featuring the “alien head” icon, which was still quite novel at that time. The “screen cleanser” comes with a double-sided sheet of instructions, which carefully avoid stating exactly what it is the product is supposed to protect your computer against. The obvious implication, however, is that it’s designed to defend against government interference. 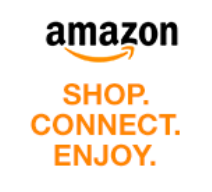 This is ironic, because at the time I bought mine I worked for the government, and I installed the screensaver on a computer belonging to the government. But that was the bumblingly incompetent, Old-Etonian infested British Government, of course – not the sinisterly scheming, Zeta-Reticulan infested United States Government!